As luck would have it, the Fiero and the Ferrari 355 share very similar windshield dimensions. 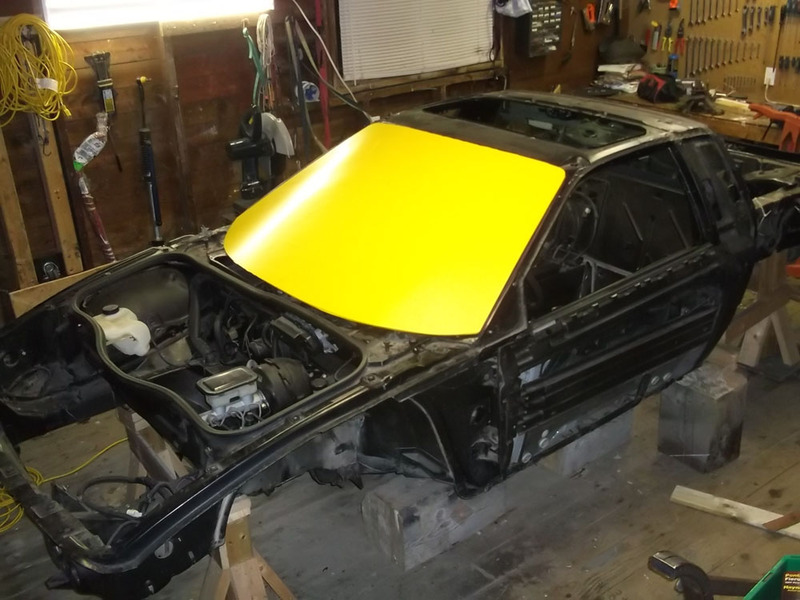 The sides (A pillars) and the top edge of the windshield are very close in and in many cases, when someone builds a replica 355 on a Fiero chassis, they keep the stock windshield. While it is a close match..... its not a perfect match. The main difference is in the lower edge of the windshield. The Ferrari glass actually extends forward about 6" further than the stock Fiero. This fact gives the Ferrari a much more pronounced swept back look to the windshield and this is what I want to capture in my build. 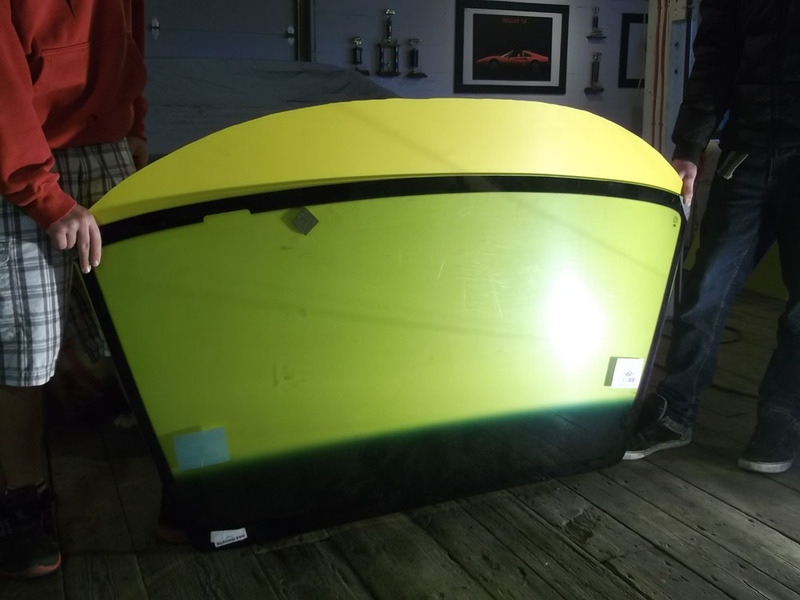 Again, as luck would have it, my friend Dave (a.k.a Bloozberry) knew a guy in Pennsylvania that just happened to be selling 4 windshields that would fit the Fiero and yet have the Ferrari shape that we wanted. This was perfect as it would provide both of us with the desired windshields plus with a spare as well......... you know......... just in case there was an unfortunate mishap sometime in the future. So, Dave negotiated a price and made arrangements to get them home to Nova Scotia. Turns out the arrangements for shipping involved me driving to PA to get them. 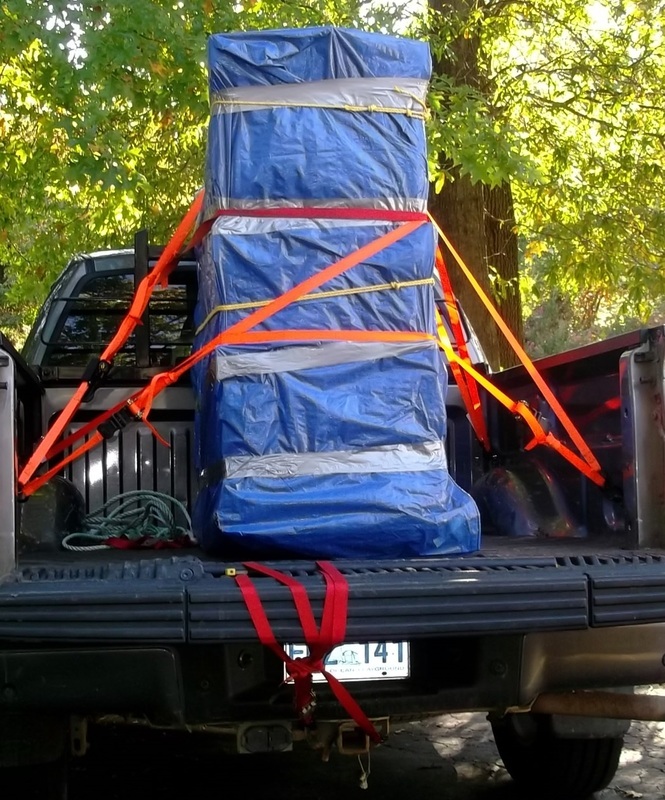 Just so happened that at the time, I was going to be in Boston on business with the Massport Fireboat and I would be there with a full size truck. Funny how things work out sometimes. So, I picked the 4 windshields up in PA and I crated them for the long drive home to NS. You really get a feeling for how bad the roads are in North America when you are carrying 4 sheets of glass in the back of a pick-up. 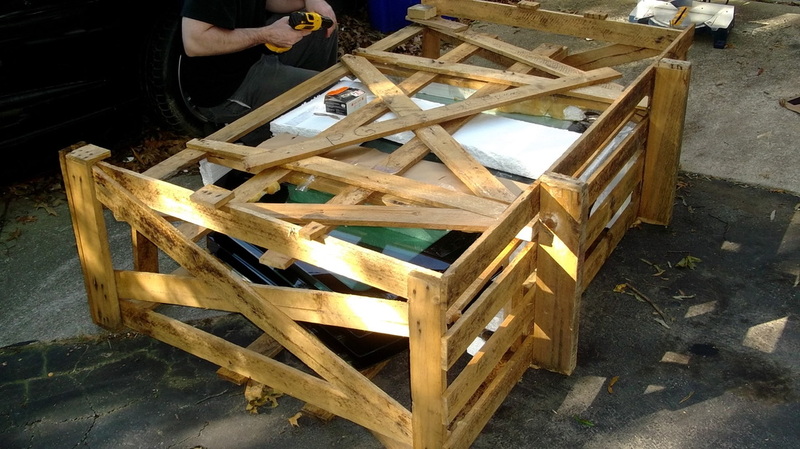 Luckily the trip home was uneventful and I landed the crate with all the glass intact at Dave's shop. 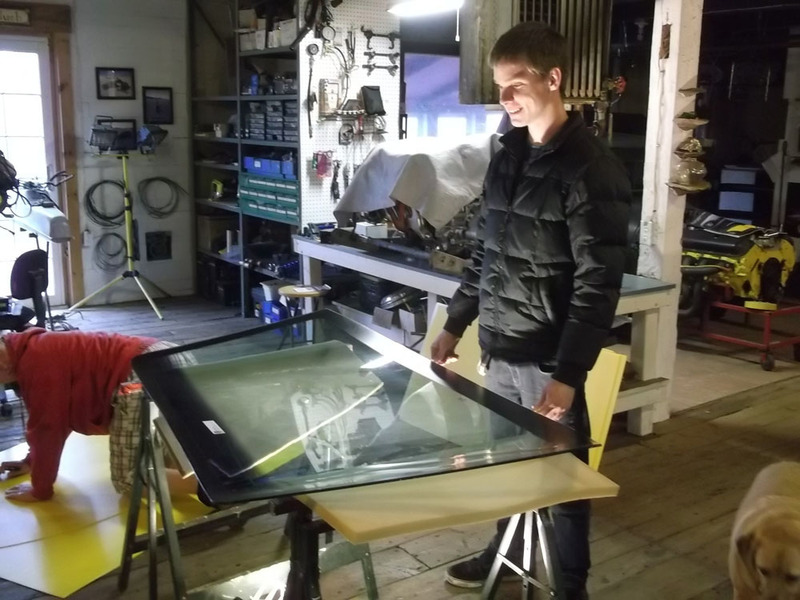 Once the glass was at Dave's shop, we proceeded to make a plastic template of the glass to use during the build so we wouldn't have to handle the glass any more than necessary. 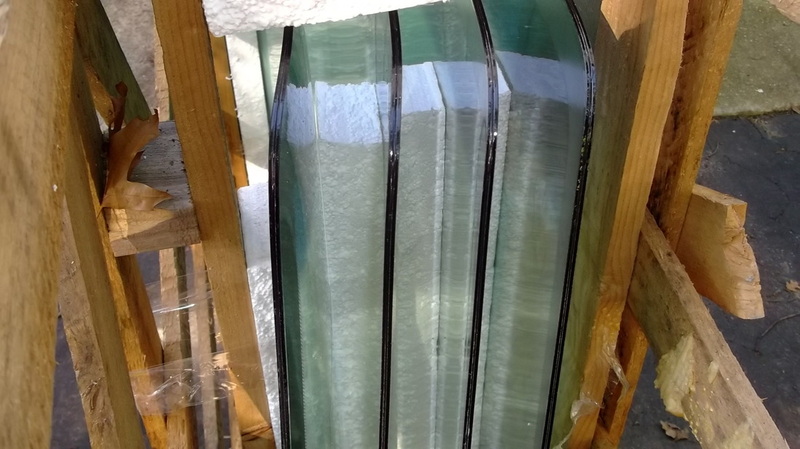 We even added a stiffener to give the plastic the required shape like the real glass. All in all, a pretty good fit with the Fiero chassis. 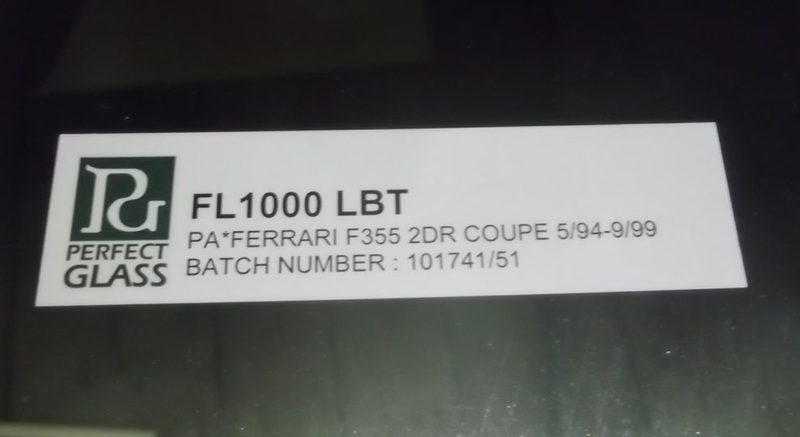 Elsewhere in this build site, I have provided details of the required chassis modifications to make this Ferrari glass a perfect match the to the Fiero chassis. I'll give you a hint............ the wipers are now in the wrong location. But its not a surprise to us and its not a hurdle that won't be insurmountable. 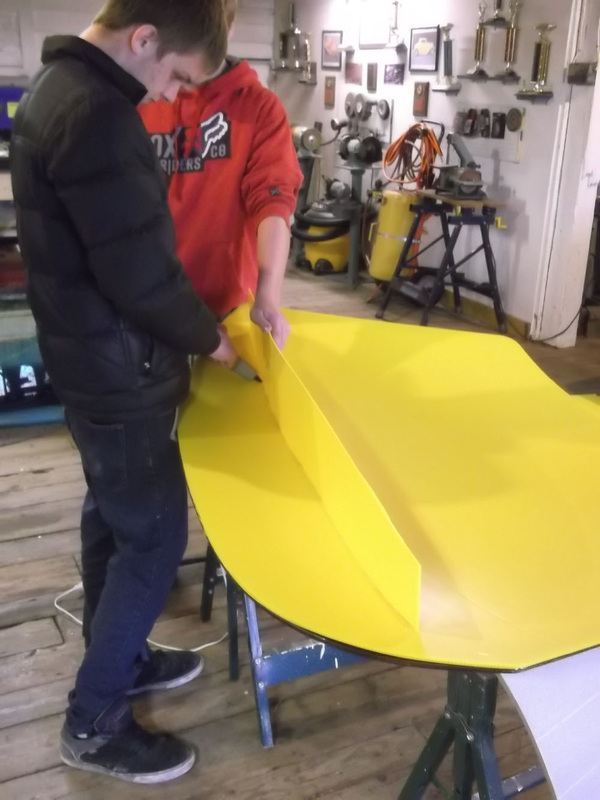 I almost forgot, here is a shot showing the difference between the stock Fiero windshield and the new extended Ferrari 355 windshield (the yellow template).